Soap bubbles over the field of sunflowers. Child on the field of sunflower. hd00:11Child with a bouquet of sunflowers. Little girl in the field with flowers of a sunflower. hd00:17A child with soap bubbles on a field of sunflowers. A little girl blows soap bubbles. 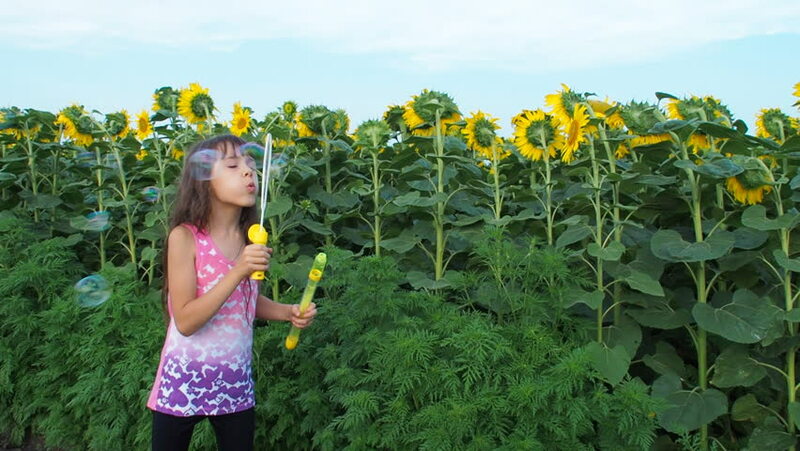 hd00:10A girl with soap bubbles on a field of sunflowers. Soap bubbles over the field of sunflowers.